Today I bring you a look that I shoot in Lisbon when I went to the Salsa event. I've been dating this jumpsuit for a while, I think it's very girly and super versatile. It's perfect to wear on these first spring days, with some boots and a biker or at night with some stilettos and a statement necklace. I confess that shooting this look was a challenge! It was already eight in the evening when Joana and I decided to shoot each other's look, the lighting conditions weren't the best so sorry if the quality of the photos isn't so good. Lots of kisses and happy week! Para começar a semana hoje trago-vos um look que fotografei por Lisboa quando fui ao evento da Salsa. Já andava a namorar este macacão há algum tempo, acho giríssimo e super versátil. 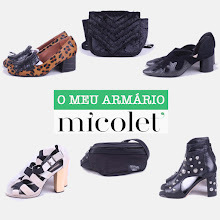 É perfeito para usar nestes primeiros dias de Primavera, com uns botins e um biker ou então à noite com uns stilettos e um colar statement. Confesso que tirar estas fotografias foi um desafio! Já eram oito da noite quando eu e a Joana decidimos fotografar uma à outra o look do dia, as condições de luminosidade não eram as melhores por isso desculpem se a qualidade das fotografias não estiver tão boa. Muitos beijinhos e boa semana! Love the romper. Great for the warm weather! Just perfect! Love the whole look and photos.